Vehicle auctions offer a great way to land your dream work vehicle at a fraction of the showroom price. 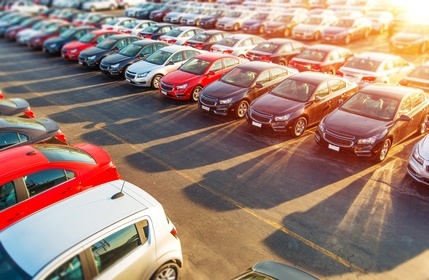 You must do your groundwork before setting out to register with a vehicle auction dealer. This due diligence helps you grab the best deal that gives you value and make the whole experience from bidding to ultimately receiving your vehicle, a total breeze. Some of the basics that you have to cover include knowing what you want, setting a budget, getting professional help, and getting an auto transportation quote. Vehicle auctions offer an extensive collection of vehicle makes and models that appeal to different needs and budgets. It is therefore important to know what you want so that you can navigate through the available options to your desired vehicle. It is easy to get sidetracked by the abundance of options or the actions of other bidders. Knowing what you want also helps you stay within your budget. Another important step that you must take before you set out shopping is to set a budget. The budget takes various things into consideration including the cost of the vehicle, any repair or restoration costs, registration and insurance, and the cost of auto transportation services to get the vehicle to your doorstep. Set a realistic budget after checking out the prices of of vehicles within the range of your desired ride, getting an auto-transportation quote, and consulting other relevant service providers such as a professional vehicle mechanic. It always helps if you have some solid knowledge of vehicles, vehicle repair, and/or restoration. Such knowledge helps you navigate through the vehicle on offer, some of which will have undergone one type of accident or the other, with varying degrees of damage. To make everything easy, hire a professional or consult a friend when assessing the various options on your shortlist.